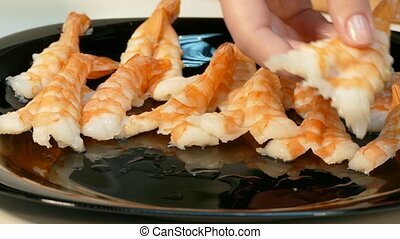 4k video. 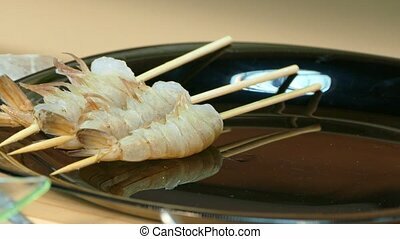 large cooked shrimp on skewers. 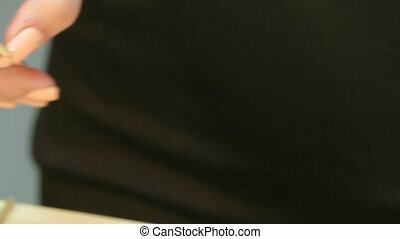 4k video. 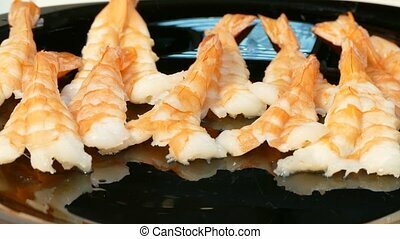 fresh made prawn skewers with curry sauce. 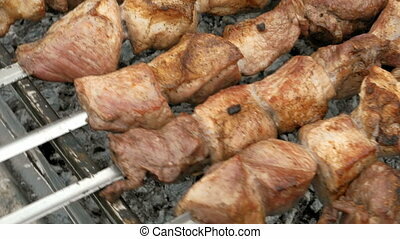 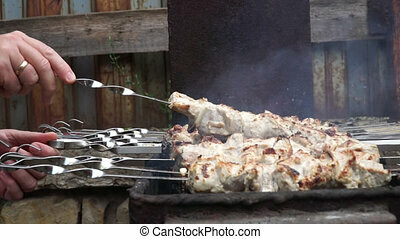 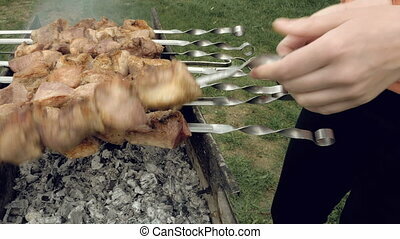 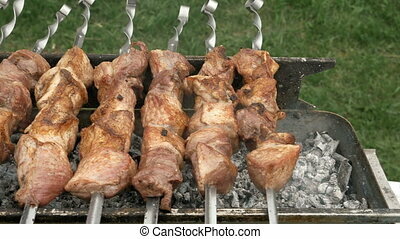 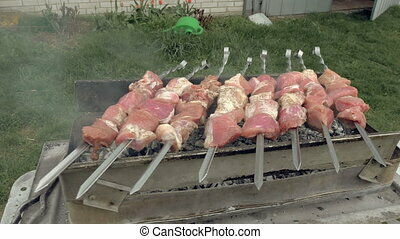 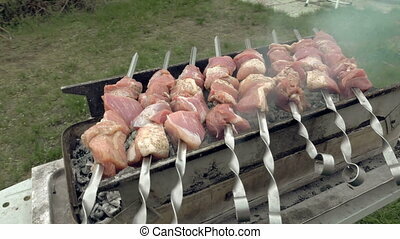 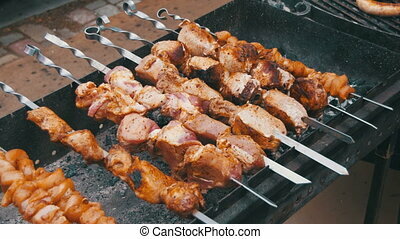 Shish kebab from beef on skewers is cooked on Grill. 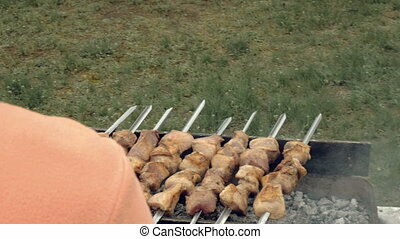 Barbecue Party. 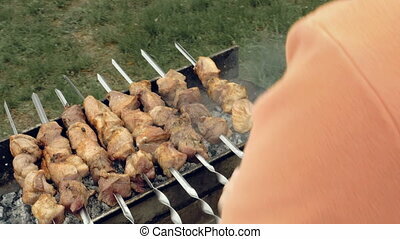 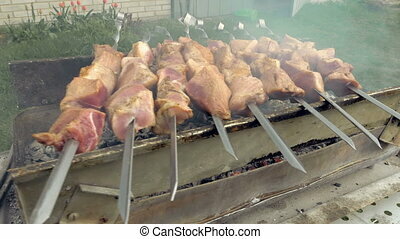 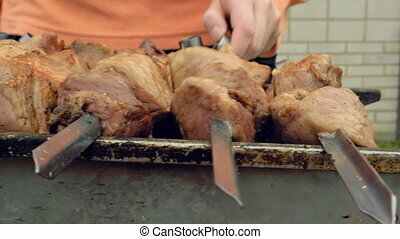 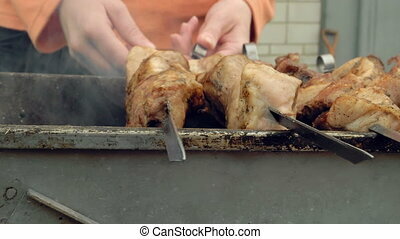 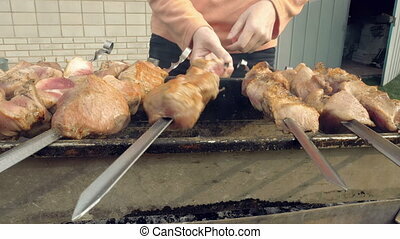 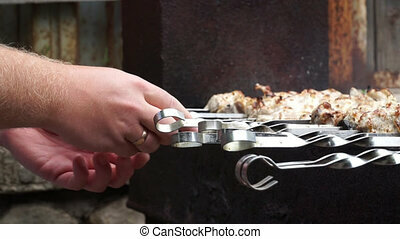 Barbeque skewers with meat cooking on hot coal ember brazier Outdoors picnic concept. 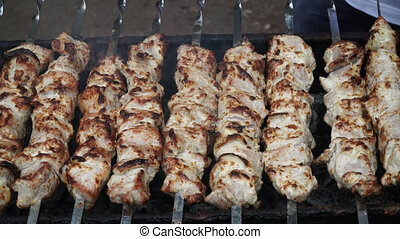 4K UHD video footage. 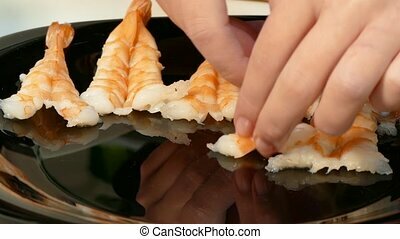 4k video. 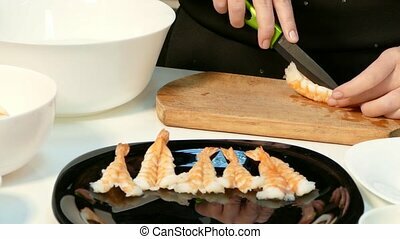 Girl skewer raw prawns on skewers. 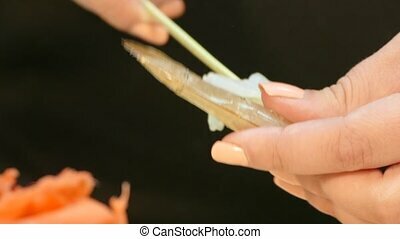 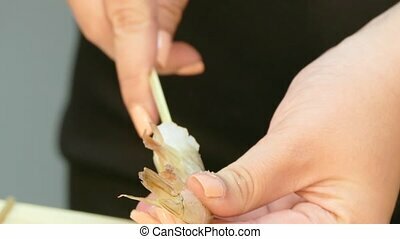 Green single large whole shrimps being threaded on to wooden skewers.